Here's one difference between dog and cat lovers. 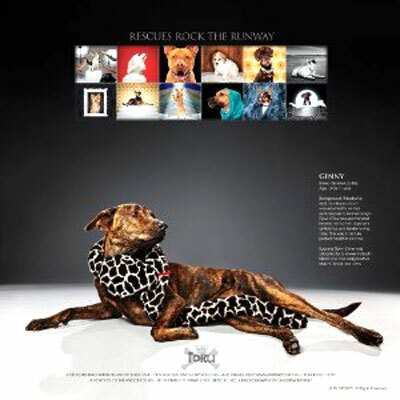 Cat lovers love cats; dog lovers love specific breeds of dogs. Generalization? 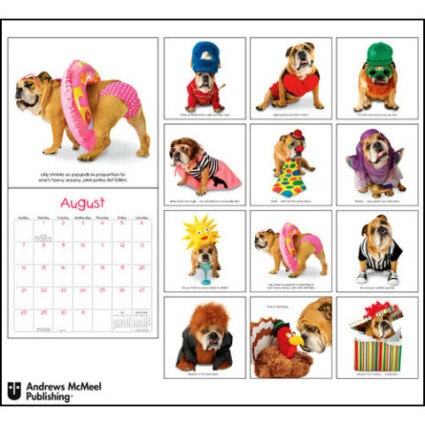 Well, that's what calendar publishers are telling us, because they print far more breed specific calendars about dogs than cats. I sent my dog Coca out digging for the doggone delightful ones and he came back with some - very proud of himself. Dogs doing crazy things... don't they always? 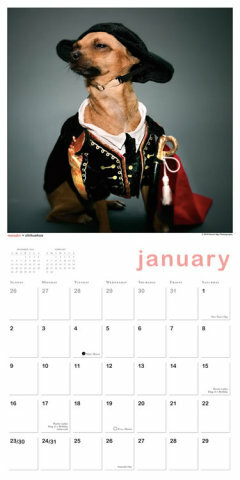 This charming calendar was shot by John Lund Photography. You can order Animal Antics here. 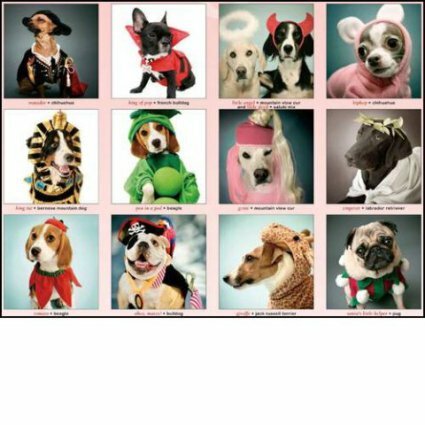 Acknowledging that every pet dog needs training, my pup found these portraits of Cesar Milan and the dogs he trained very admirable and Cesar's tips for humans 'a must.' 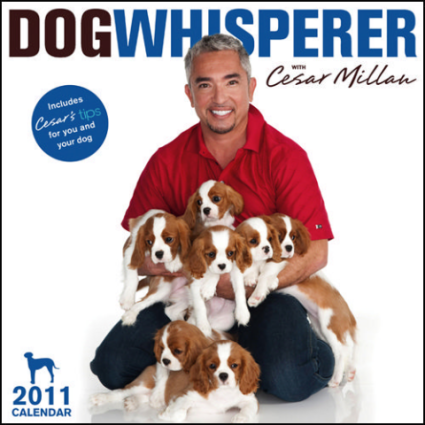 Cesar's Way: 2011 Dog Whisperer Wall Calendar. Coca has a weak spot for dogs in digs, so he picked this one and put it on the top of his pile. 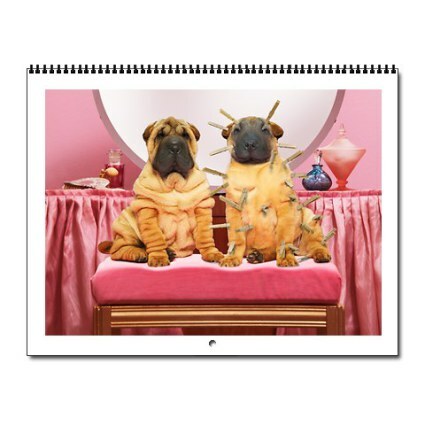 These guys look doggone cute, you must admit. 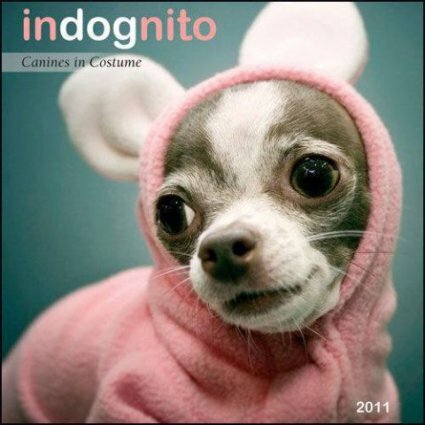 For those who love to dress their dogs, Indognito is the dog calendar for you! 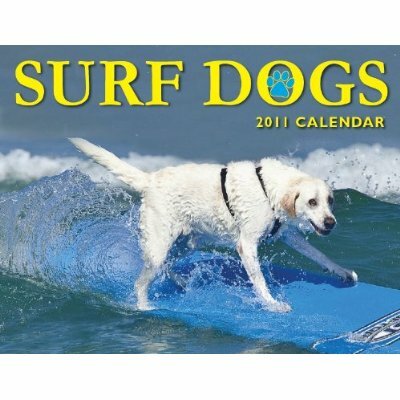 There's nothing as awesome to a beachcomber than to see a dog on a board. 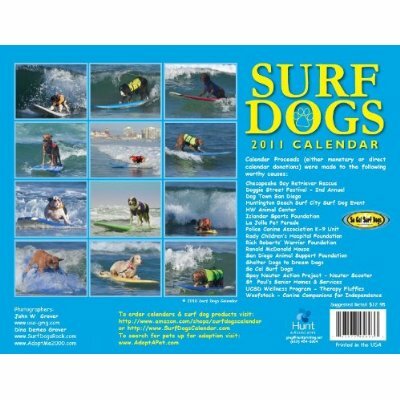 So, Coca and I thought we should include the original Surf Dogs calendar for all surfing and photography fans. It's tough to get a good photo of a dog surfing! 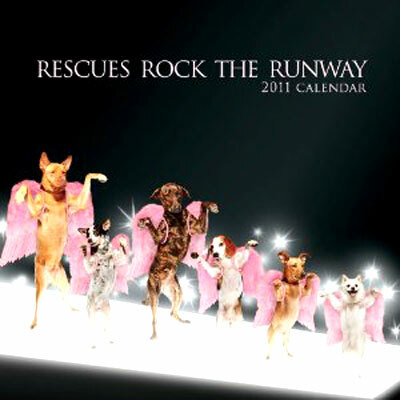 Proceeds from this calendar go to benefit various dog charities. Surf's up! 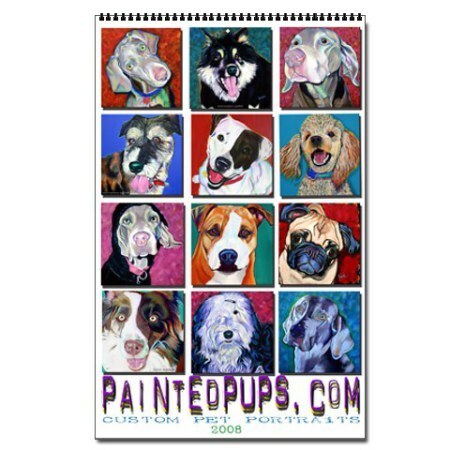 I found this Painted Pups calendar on the British Cafe Press web site and thought it was too darling to overlook for this column. 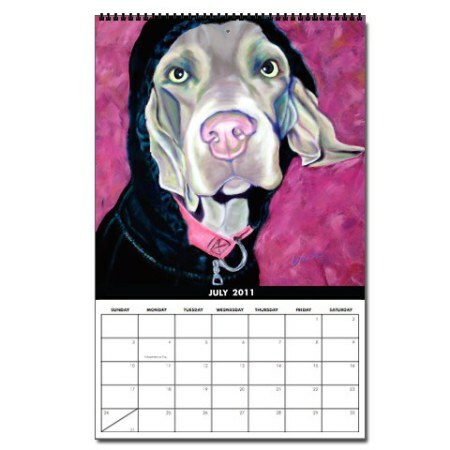 After all, you have to live with your calendar all year, so it has to be worth waiting for a bit. Great style! What a charmer! 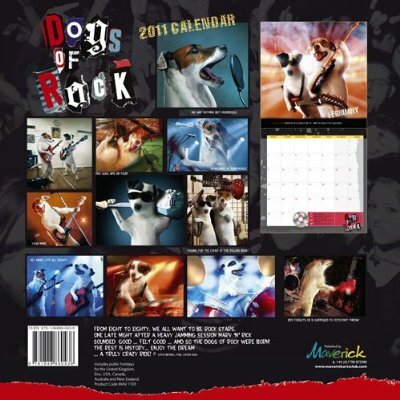 Though they are two Jack Russell Terrier rock stars, this calendar is not really about the breed, it's about the humor that appeals to humans by putting dogs in human situations. Dogs of Rock rocks! Terribly funny, you get 365 dogs, a dog a day, with a message from the dog, like 'Mom, I left you a valuable message in the snow." 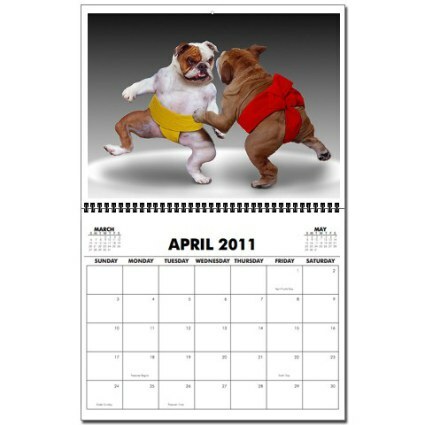 The Bad Dog calendar has been a hit for several years running. 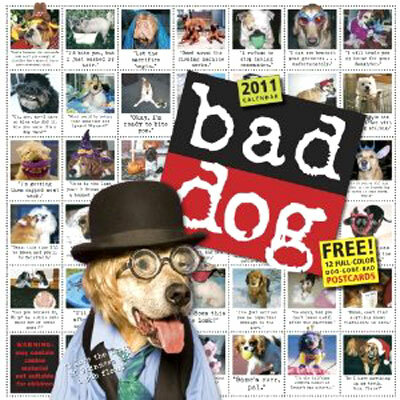 You also get 12 free post cards from the Bad Dog series along with the calendar. Good dog, Coca! If you love ironic wit, there's no place better to find it but in the cartoons of The New Yorker magazine. 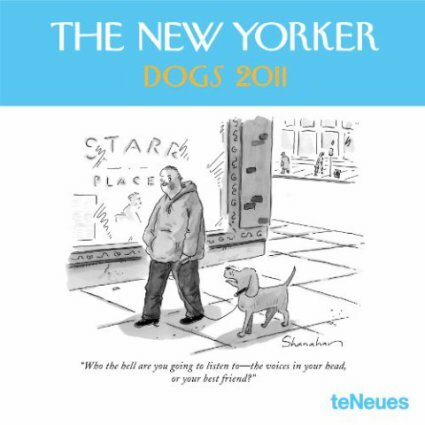 And the New Yorker Dogs Wall Calendar brings the best of its dog humor to you every year in its full page cartoons. 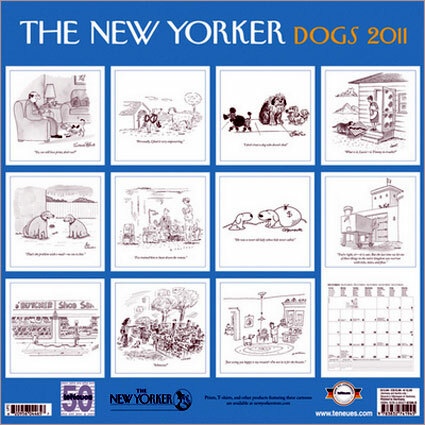 The New Yorker 2011 Cat Wall Calendar is also available. 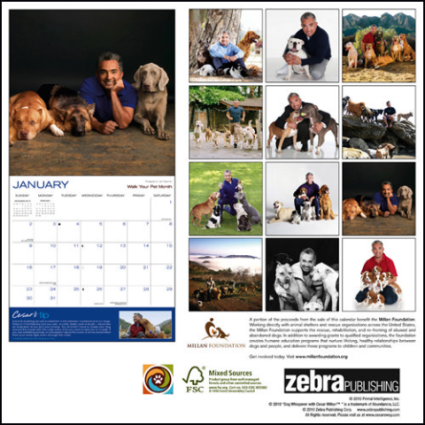 Thanks to the calendar publishers and retailers who made these photographs accessible for reprinting! 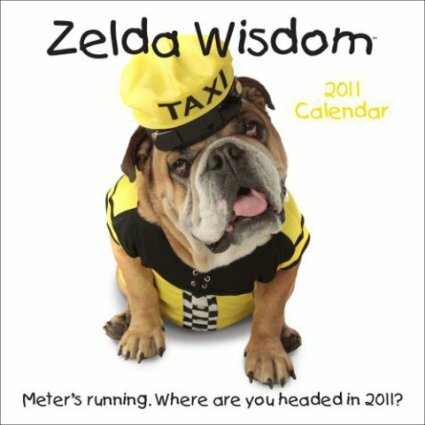 See 10 Super Creative 2011 Cat Calendars too!